Oun, Kimlong and Robert (pictured left to right) in their production facilities. Cambodia always felt a little like home, despite having grown up in the US, so it was a joy and a gift to be able to collaborate with Judith’s Reading Room to open their first libraries here in Cambodia. Not knowing what the possibilities would lead to, I hand carried the books from Los Angeles to both non-profit organizations, A New Day Cambodia in the capital Phnom Penh and Anjali’s House in Siem Reap. I remember the day I took the books to both places—I was with my parents—and we spent time with the kids reading stories, turning pages, and gazing in awe and curiosity at the new pictures and new stories. The kids still seemed so young at the time—it was April 2013—but I knew they would be going out into the world outside of the non-profits soon enough. I was never with the kids on a daily basis after opening the libraries as I went off on my own adventures, opening my first business based in Phnom Penh, but I stayed in contact with the students and would often ask them about any new books they had read or if they were writing their own stories yet. Their faces would light up any time I asked them about the books in their new libraries. As time passed though, there was a particular growth and synergy for both the students and myself as my business was doing well and the kids were not only learning more, but also readying themselves to enter the workforce. One by one, the students would leave the fertile soils of the library and the non-profit to start planting seeds of their own as they began to build their careers and lives ahead of them. When I started out with my business Jiva Probiotics, which creates hand-crafted probiotic beverages, I knew building a strong team would be key, so one of the first places I looked to was the non-profits I had been connected to. 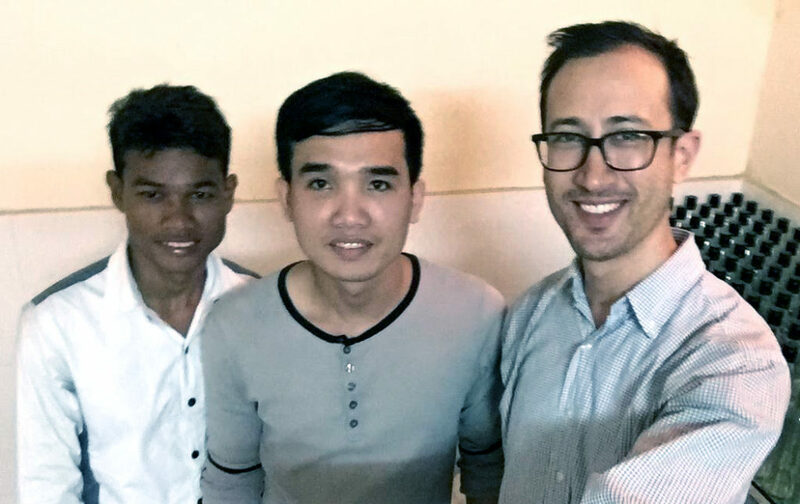 I hired Kimlong who was a former teacher from A New Day Cambodia and we continued to strengthen our team by inviting the students, who were leaving the center to look for work, to join our team. Turns out that has been a big key to our success because we started with a feeling of camaraderie dating back to the founding of the JRR libraries. To this day, Jiva and the leaving students continue to partner and work together and even though some have come and gone, moving onto even brighter futures, there is a bond rooted in books and libraries. I can only hope that all of our futures stay intertwined and connected through books and meaningful work, leading to brighter days ahead. Judith’s Reading Room donated more than 1,000 new books valued at $5,000 to honor its 2016 Grand Prize “Freedom Through Literacy” Award winner, Kelly Stoops. Kelly, a beloved Allentown teacher, passed away in July, 2015. In her memory, teachers at Roosevelt Elementary School celebrated Kelly’s award winning literacy program at a “Book Blast.” Every child in the school received a book in Kelly’s memory. 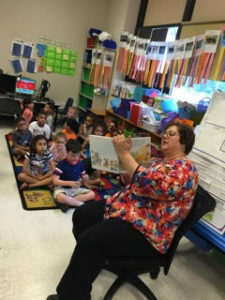 At the end of the school term, 81 children, 77 parents and 33 volunteers brought books to life through costumed story characters and read to lead groups where parents observed a trained facilitator modeling literacy strategies for them to practice at home with their children. 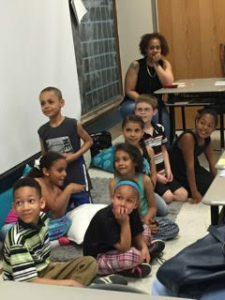 A major goal of this community-driven literacy program is to prevent ‘summer slide,’ during which students regress due to lack of books and no reading. The 3rd annual $10,000 Judith’s Reading Room “Freedom Through Literacy” Award will honor individual champions of literacy from all disciplines around the world — teachers, librarians, authors, booksellers and educators — anyone who has done exemplary work to instill in others a love of reading. Applications for the 2017 Award will be available on line in the fall at www.judithsreadingroom.org. Since its inception, Judith’s Reading Room has opened 94 libraries in 17 countries with 127,000 books worth nearly $1.4 million. The organization has awarded $20,000 to 10 global champions of literacy.